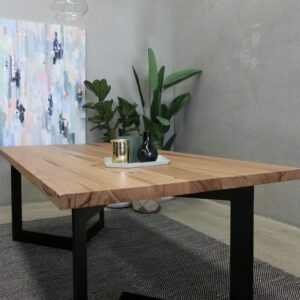 This table is the epitome of style. 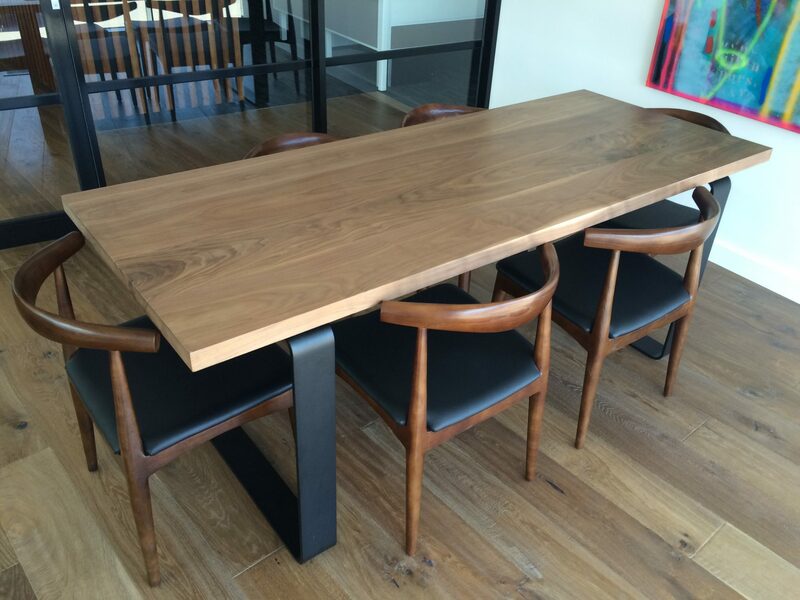 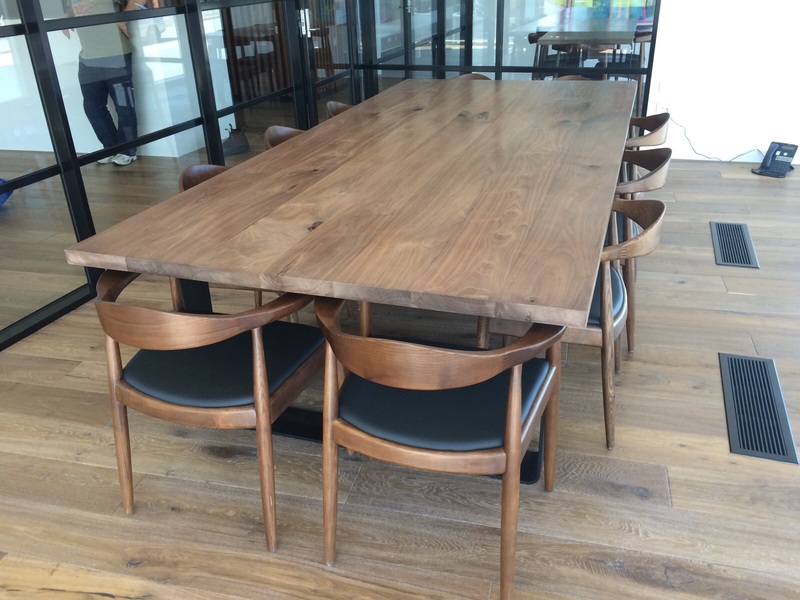 U.S Black Walnut Dining Table top with powder coated metal loop legs. 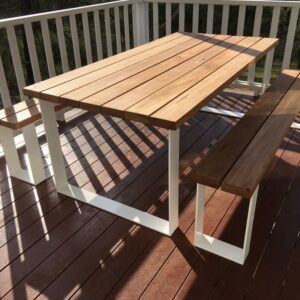 It is coated in Osmo Polyx Oil which is stain resistant and durable. 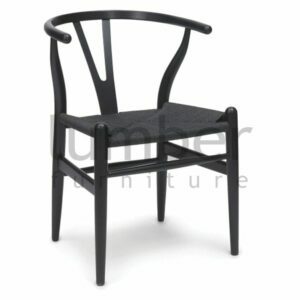 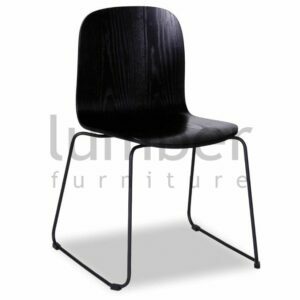 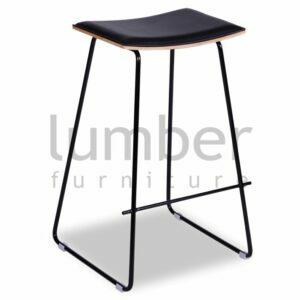 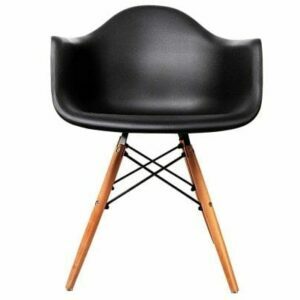 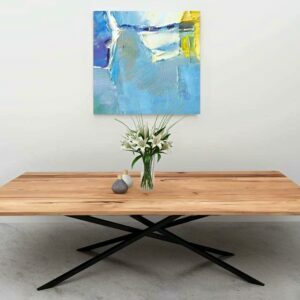 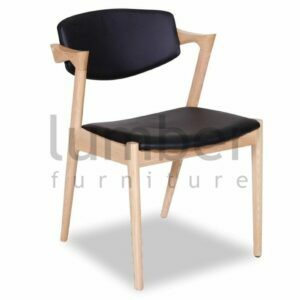 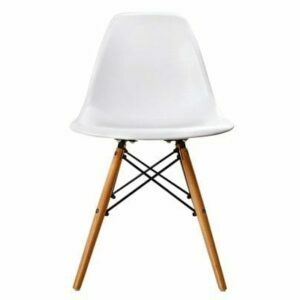 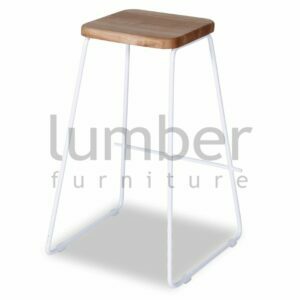 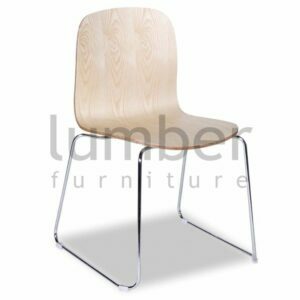 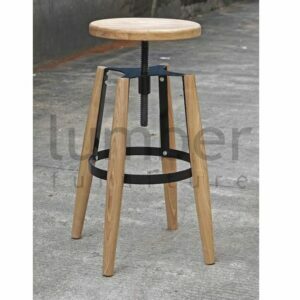 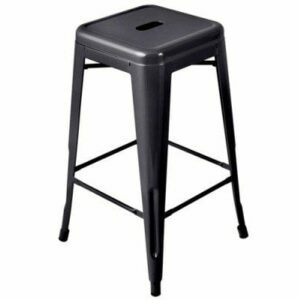 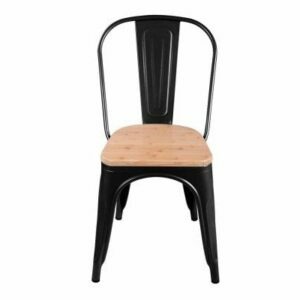 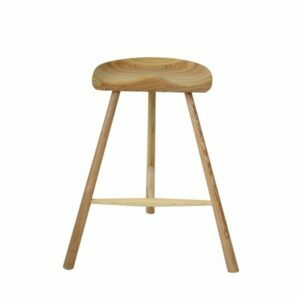 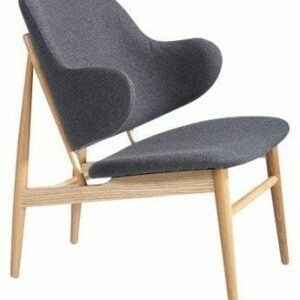 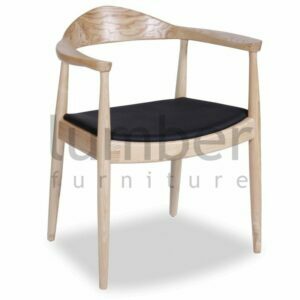 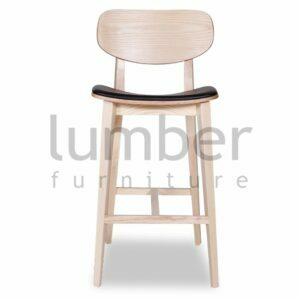 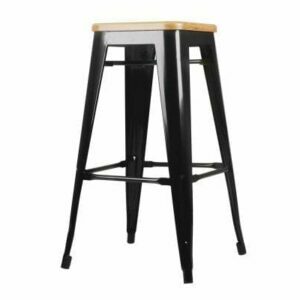 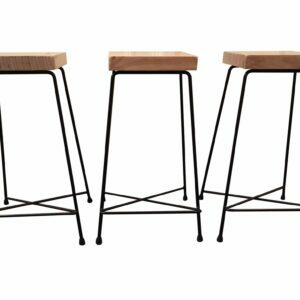 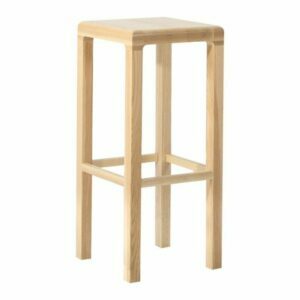 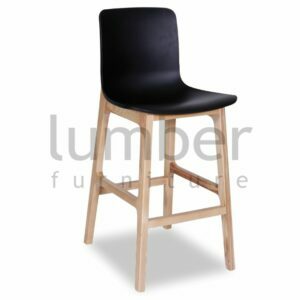 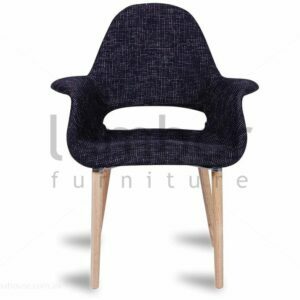 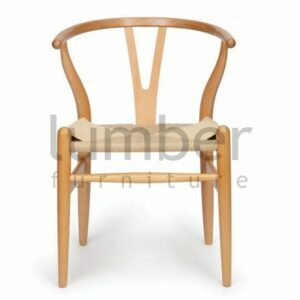 It has been built with a strong, stable custom square powder coated legs. 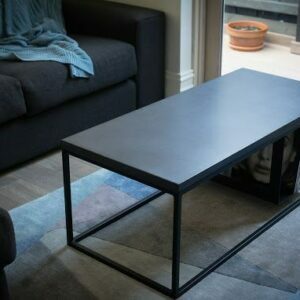 This piece has a lot of character and is unique. 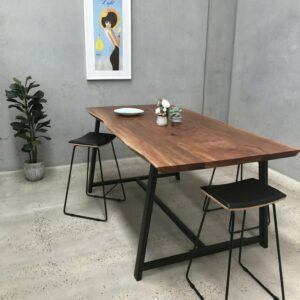 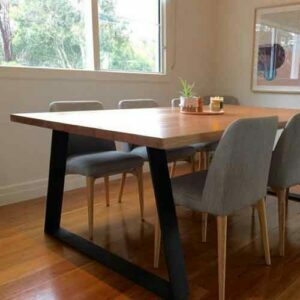 The 2 metre long Everest dining table fits 3 chairs on either side + a chair at each end. 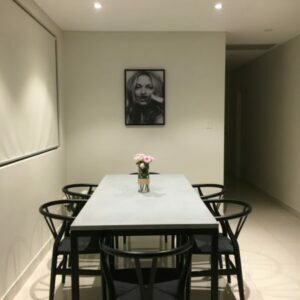 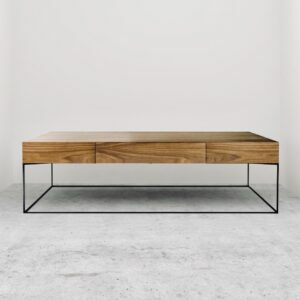 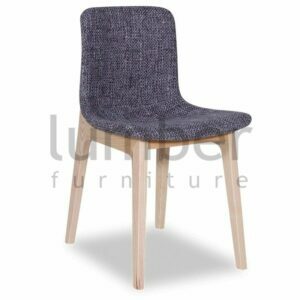 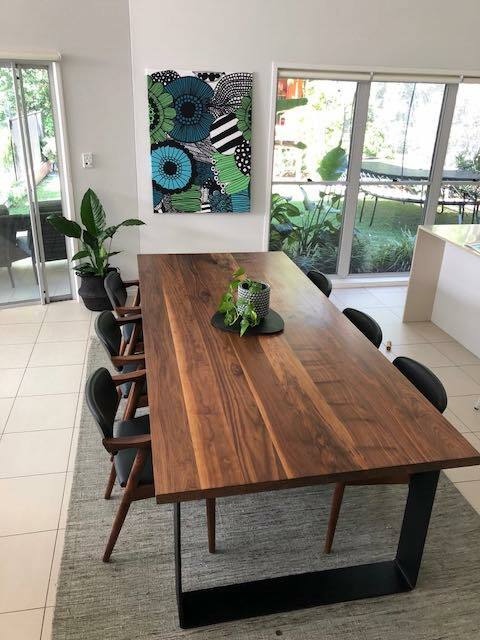 Very well suited to an apartment, a stylish home, warehouse apartment or prestige boardroom table. 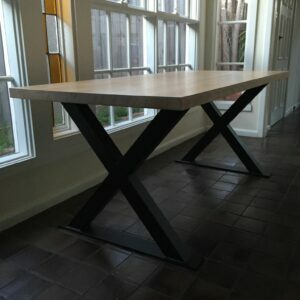 Made To Order : Allow 10-12 weeks from Order for completion. 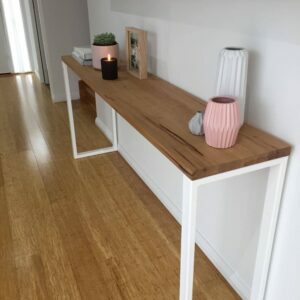 Length and width can be customised. 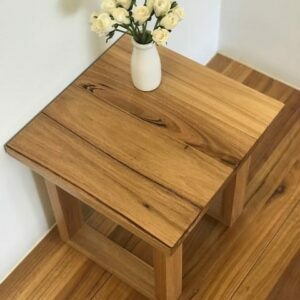 The thickness of the table top is 4.2cm. 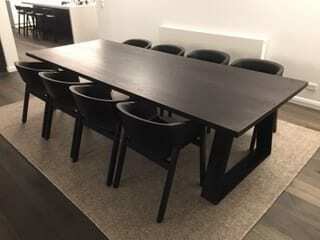 The 3 metre long dining table fits 4 chairs on either side + 2 chairs at each end. 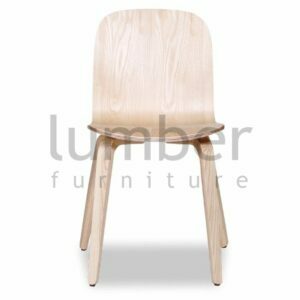 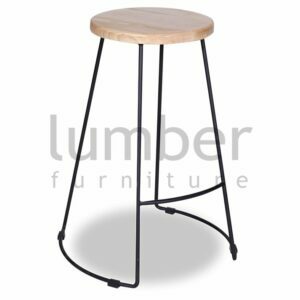 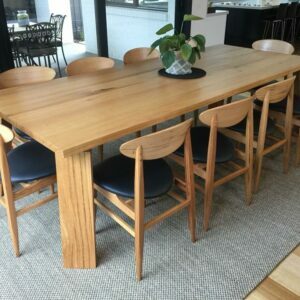 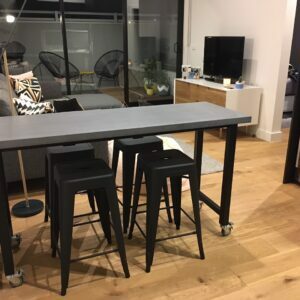 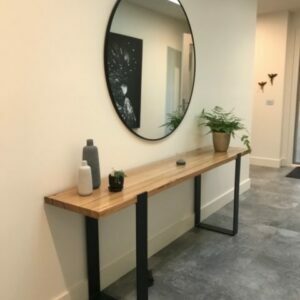 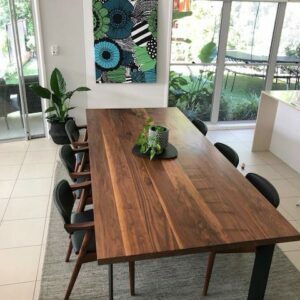 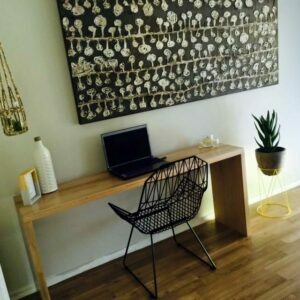 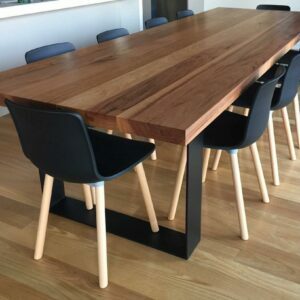 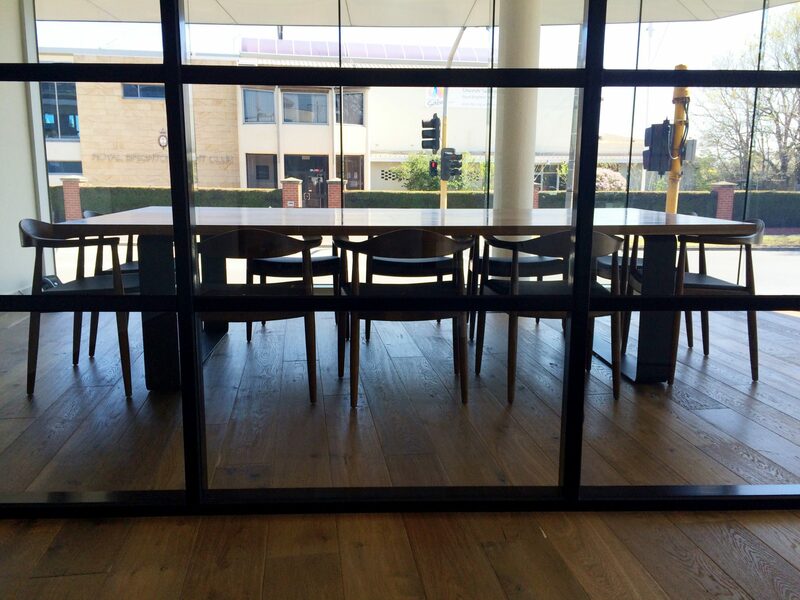 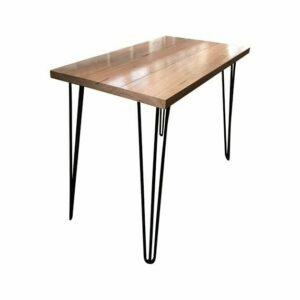 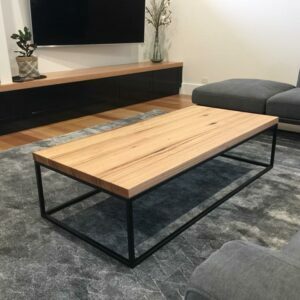 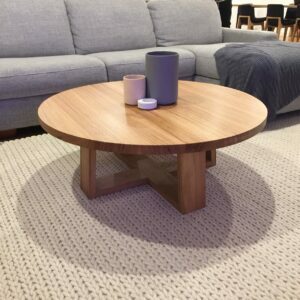 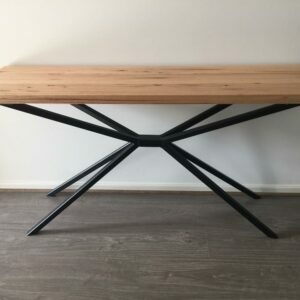 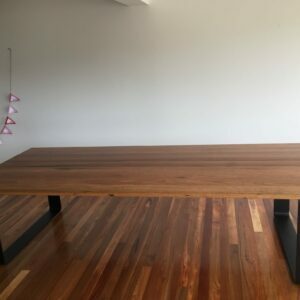 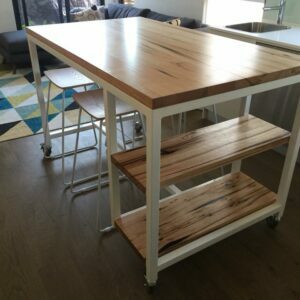 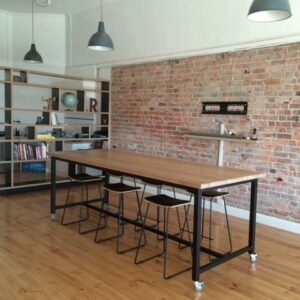 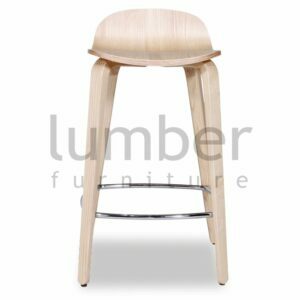 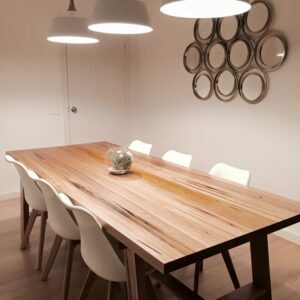 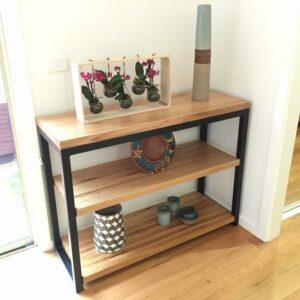 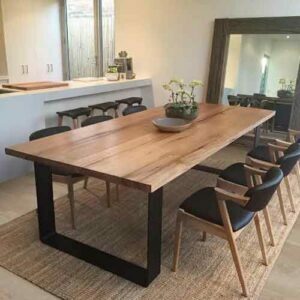 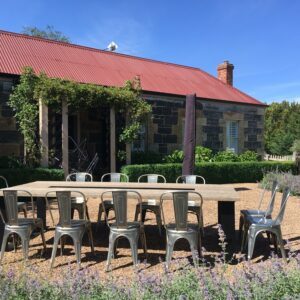 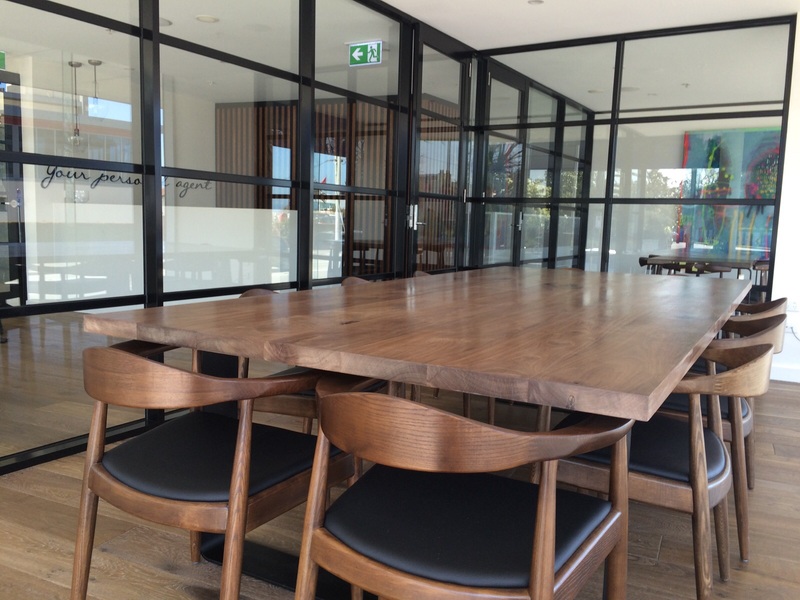 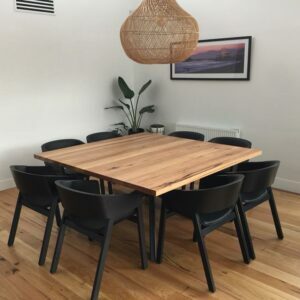 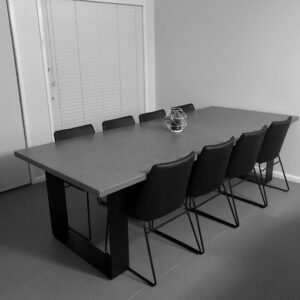 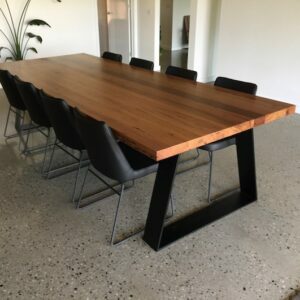 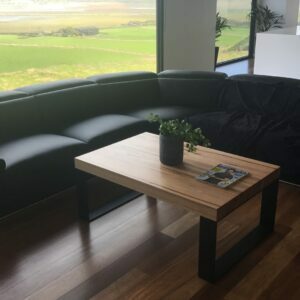 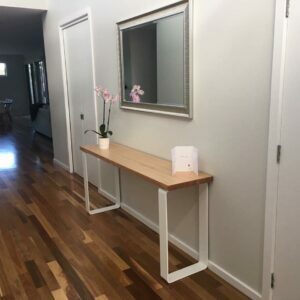 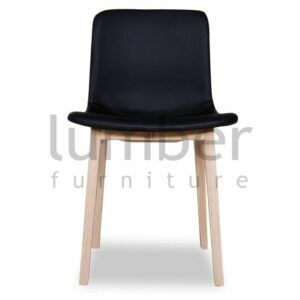 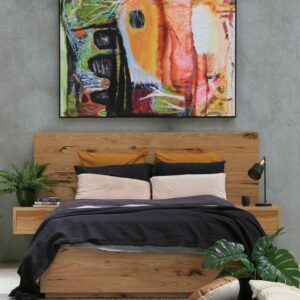 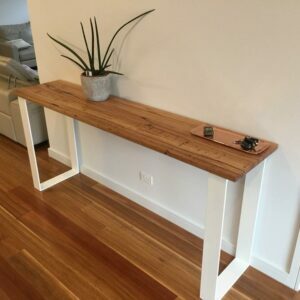 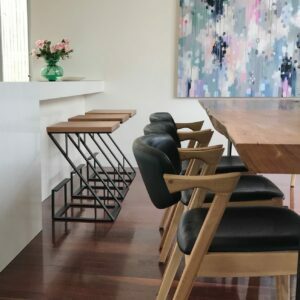 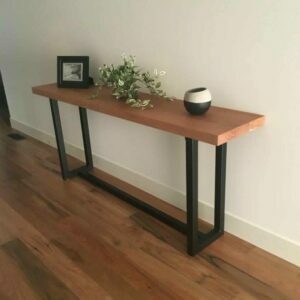 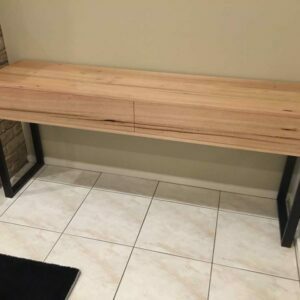 All timber used with Lumber Furniture's tables is strictly graded to Australian Standards. 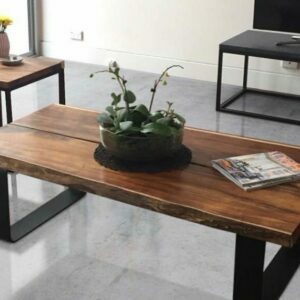 Grading refers to the degree of natural marks and features. 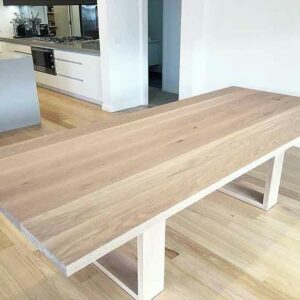 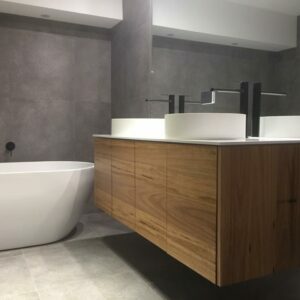 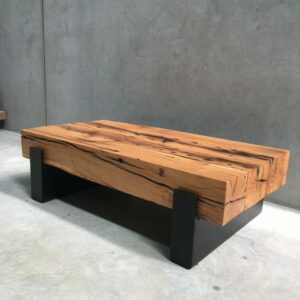 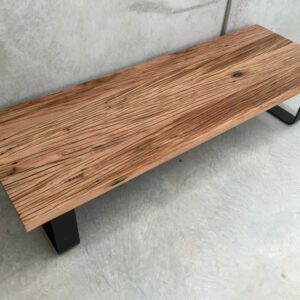 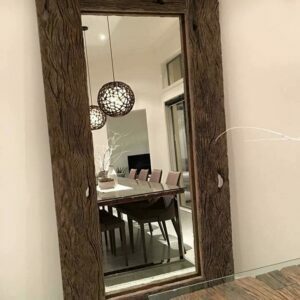 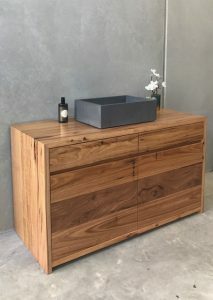 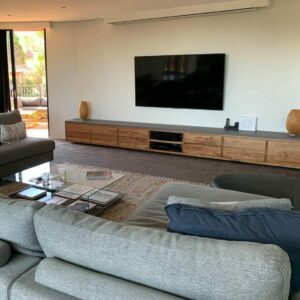 The decision between different timber grades, from a unique and striking timber with lots of natural features to a clean and consistent timber grade, really comes down to personal preference. 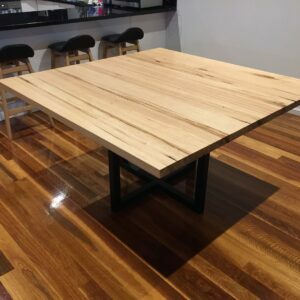 Pricing is all based on select grade timber.